Happy, happy! This would make an excellent bookmark too! I've been making my own with 4x6 photo paper. Crop like this then print two on one sheet. 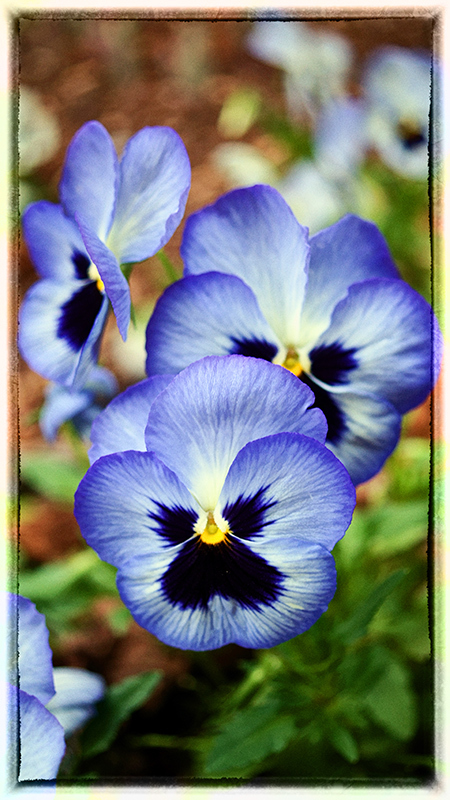 Beautiful pansy faces; I like the border too. This flowers seems to have little cat faces :) Nicely done! Very pretty and painterly. The second pansy looks like it's trying to peer over the shoulder of the front one, to see who's out there. Oh Yeah, very nice, looks like an oil painting. Proudly hosted by Sargasso Networks. Current Server Time: 04/20/2019 12:32:09 PM EDT.